" Larissa, Although it already feels like ages ago Yigit and I are able to relive our wedding everyday thanks to your absolutely stunning photos!! Thank you from the bottom of our hearts! The photos that you took captured everything so well - the emotion, the excitement, the fun! WOW. You are unbelievably talented and we feel so lucky to have had opportunity to work with you - Thank you again for everything - You're the BEST!!! " "Larissa - Garrett and I can't stop talking about how lucky we were to find you! After seeing your portfolio, I knew we had to have you there photographing our wedding. We booked you before we booked our wedding planner and even our venue, I was that convinced. Well, you delivered on that expectation 1,000x over. 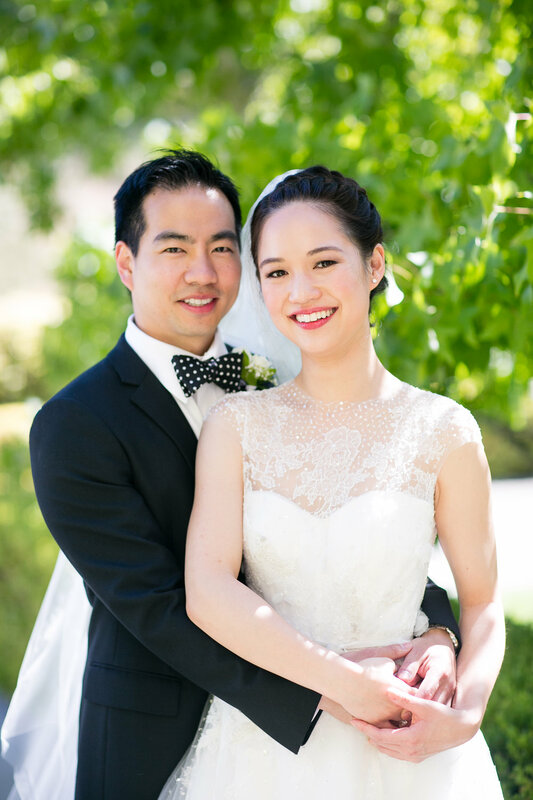 Our photos are ethereal and capture the emotions felt during the day perfectly. You also were just a joy to be around (I now realize how important that is! ), and I still laugh thinking about us in an uber with my giant dress so we can hurry to get a few extra shots in a different location before the ceremony starts (and before our planner hunts us all down for being behind schedule). But we stayed on schedule and those photos are some of my favorites. Your work is now prominently featured around our home, our parents' homes, and many others who love the images you and your partner got of them that day. Please continue to do your excellent work so we can stay in touch and have you photograph us as we grow our family!" “Larissa! They are beautiful beyond belief!!!!!! (Literally can't believe it!!!) We can't thank you enough for so magically capturing our day and being such a joy to work with :) We're very excited to dig in and pick out favorites and prints! Thank you to the moon and back! Happy summer! With love"
"Hello Larissa, Rachel just sent me the pictures. Oh my gosh. You and your partner… you captured the essence of what were hoping for, and what we felt was happening in those moments! I just love them. Rachel getting ready, their portraits in the grove, all the details and the vibe - It's so fun to see all the parts of the day I missed! You picked such spectacular spots for portraits too. I just can't thank you enough. These are absolutely amazing! The feel of the fun and the celebration really comes through, We will cherish these forever! You have given an amazing gift to my children. "Dear Larissa, Words cannot express how happy we are with the wedding photos and how grateful we are to you. The fact that you were able to capture our special day in such a large quantity of visually stunning images is truly amazing! Thank you for being our photographer and sharing in our joy!" "Hi Larissa! The pictures are sooooo beautiful- you are so talented!! Seriously - these are better than we could have hoped for :) Our parents are going to swoon over them, I'm sure. Thank you again for everything- and we will definitely stay in touch, beyond and beyond wedding photos!! " "Larissa was FABULOUS to work with! I tell everyone I was IN LOVE with my wedding photographer – Larissa works magic!!! "OMG I can not believe how stunning these photos are. Have the clients seen them yet? Will you send them or would you like me to? THANK YOU so much- your talent truly amazes me!" "Hi Larissa, Thank you so much for everything! That was such a quick turn around - and I know you've been busy judging from all the gorgeous photos I've see in my facebook feed. You were my favorite vendor of everyone. I would say keep that a secret, but I can't even keep that a secret!" “Larissa – I LOVE LOVE them! Everyone says that you are fantastic! How many times a day do you hear how amazing you are at what you do? Whatever it is, it isn’t enough. You have an eye for things, and that is an intangible quality!